Oh no, not more body shop purchases I hear you say! Well yes, unfortunately it is! But the Body Shop are just bringing it this year with the Christmas products. On that fateful shopping trip I thought I had better justify some of my expenditure and snuck in a few bits that I could use as stocking fillers or small presents for a few people. 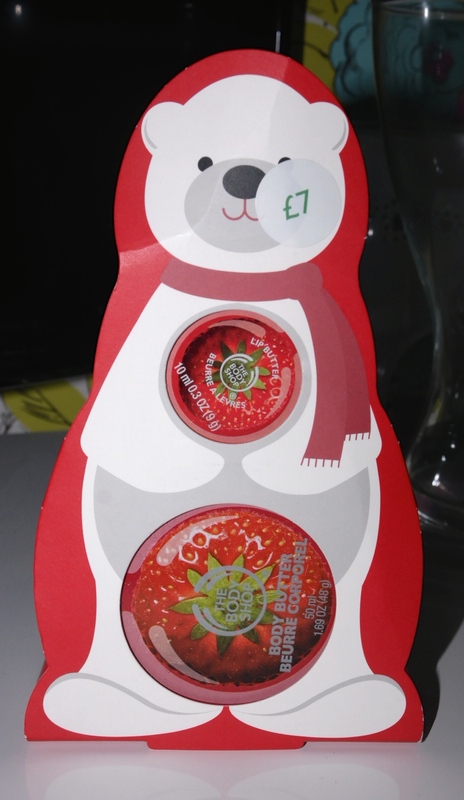 I thought this little polar bear set was really cute and I think I may give this to my sister as a small something, It contains a strawberry body butter and lip butter and it was just too cute to resist. 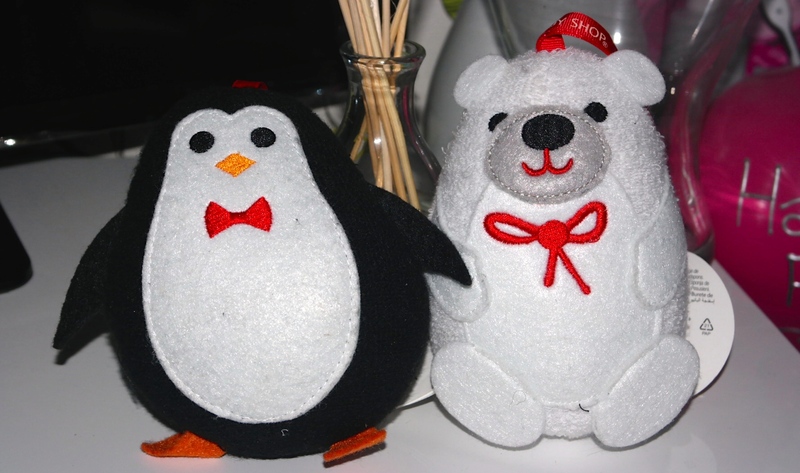 As were these body sponges in the shape of a penguin and polar bear! I brought quite a few of these! Not sure why, but I have already given one each to my best friends little ones, so just got to figure out a home for the rest! Next up is something i see every year from the body shop and are such good little gifts at only £6 for say secret santa or a little something for a work colleague. I brought one in Shea Butter and one in Coconut. Each little box contains a shower creme, a body whip and a little shower puff. Phew, that’s nearly all my body shop purchases covered now, apart from a few I may review for you throughout the year as they are from their permanent collections. Has this enticed you to do any last minute shopping at the Body Shop?